SEVEN DOLPHINS participated in ‘porpicide’ in Cardigan Bay this weekend when they aggressively attacked a young harbour porpoise. The dolphins involved have now been photographed and are under observation due to their behaviour. Cardigan Bay Marine Wildlife Centre’s Marine Team participated in a four hour dolphin survey this weekend as part of The Wildlife Trust’s Dolphin Survey Boat Trips. However, part way through their survey they witnessed seven Bottlenose dolphins acting aggressively towards a young harbour porpoise. The marine team were amazed to witness the dolphins acting aggressively in that manner and proceeded to observe and document the event. Sarah Perry, Wildlife Trust Living Seas Science Officer, said: “For decades we have known that Bottlenose dolphins attack harbour porpoises, an act known as ‘porpicide’, a behaviour that has been documented around the world. However, the reasons for these attacks remains poorly understood. Various theories have been proposed including prey competition, objectorientated play, practising infanticide and heightened aggression in male Bottlenose dolphins. 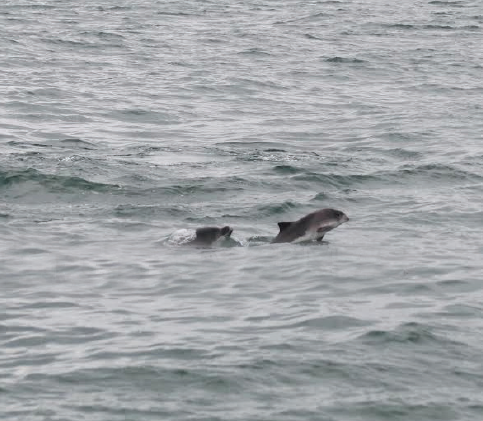 Interestingly, this isn’t the first time we have observed this behaviour in the Cardigan Bay Bottlenose dolphins. In 2014, we observed this behaviour first-hand on four separate occasions”. Cardigan Bay Marine Team photographed the dolphins involved prior to the latest encounter and are now continuing to document and observe their behaviour. At least two of the dolphins involved were males, two were females and there were also two young dolphins in the group – including one dolphin that had faint foetal folds visible, which suggests it was less than a year old. Encounters such as this demonstrate that we still have a lot to learn about these enigmatic creatures, showing that it is vitally important that we all make an effort to conserve our seas and the marine environment we live in for future generations to enjoy, be inspired and learn from such events. For further information on vital research work carried out by The Wildlife Trust of South and West Wales or Cardigan Bay Marine Wildlife Centre, please visit www. welshwildlife.org or www.cbmwc. org. Ysgol Henry Richard pupils receiving certificates. 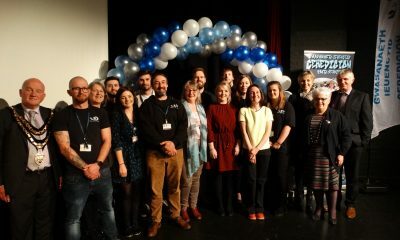 ON Tuesday, 9 April, over 220 young people and their families, from across Ceredigion joined Ceredigion Youth Service to celebrate their annual Awards Night. 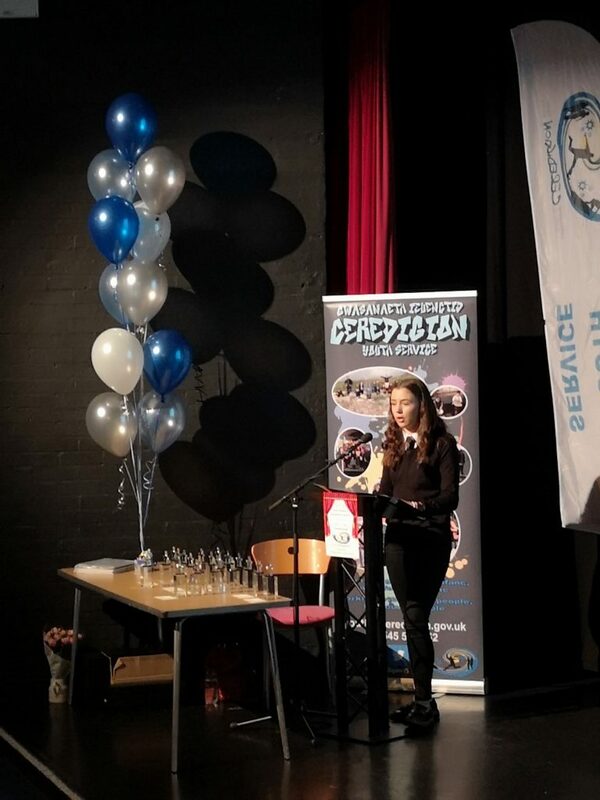 The evening was an opportunity to celebrate and recognise the achievements and successes of all young people who have engaged with Ceredigion Youth Service during the past year. 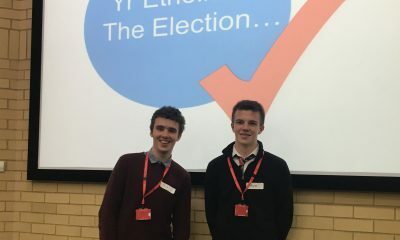 Young people attended from each Secondary School in Ceredigion, Coleg Ceredigion, Ceredigion Training, young people working with the outreach service, and all the young people who attend youth clubs, youth projects and holiday provisions. There has been a wide variety of projects, activities and events held again this year, with up to 5,000 young people in attendance. These have been successful due to the commitment and enthusiasm shown by the young people from all over Ceredigion. 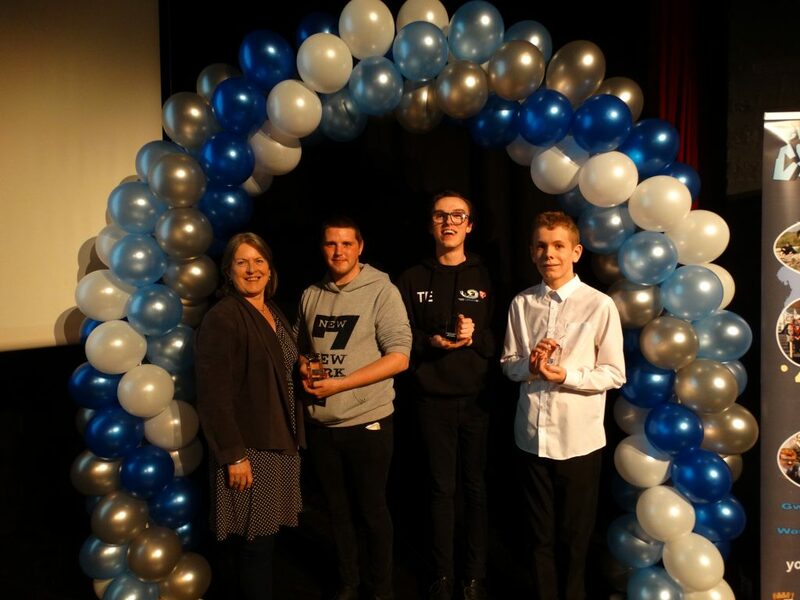 The special awards presented during the evening included awards for Young Volunteer of the Year, Outstanding Contribution awards, Campaign of the Year, Special Achievements and Community Engagement awards. 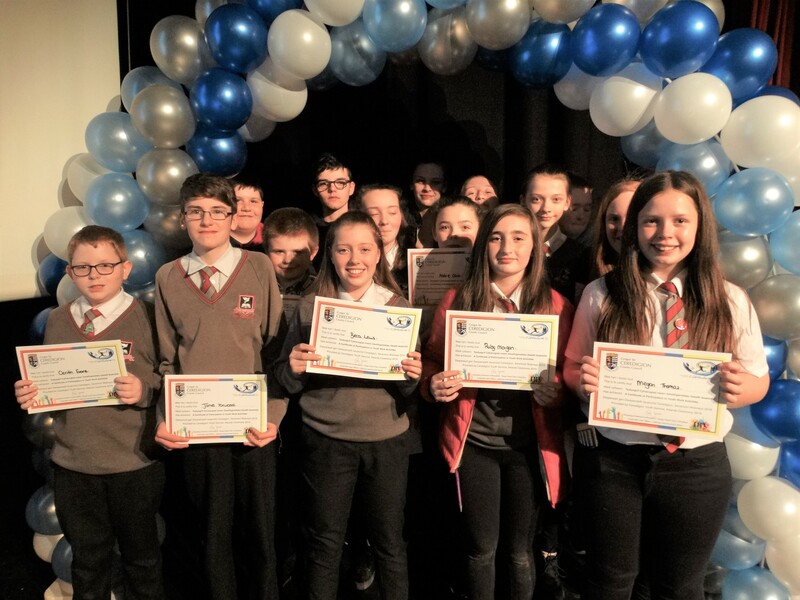 In addition to the special award categories, numerous local certificates were celebrated and distributed to young people achieving national accreditations or to those who have participated in various clubs and projects. Beca Fflur Williams, Chair of Ceredigion Youth Council leading the evening. Catrin Miles, Cabinet member for Learning Services opened the evening. The evening was then hosted by Beca Fflur Williams, Chair of Ceredigion Youth Council. Guest speakers included Ashlie Day, Chloe Toose and Thomas Evans, Ceredigion Youth Service Young Volunteers. The awards were presented by Ellen ap Gwynn, Leader of Ceredigion County Council, Eifion Evans, Chief Executive of Ceredigion County Council and Hag Harris, Chairman of Ceredigion County Council. 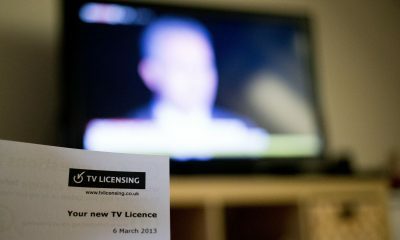 Clips were shown on the screen including a message from MP Ben Lake. The night was closed by Chelsea Jones and Louise Bryan, members of Penparcau Youth Club. For more information or to find out what opportunities are available to you, head over to their Facebook, Instagram and Twitter pages at @GICeredigionYS or contact the team on youth@ceredigion.gov.uk. 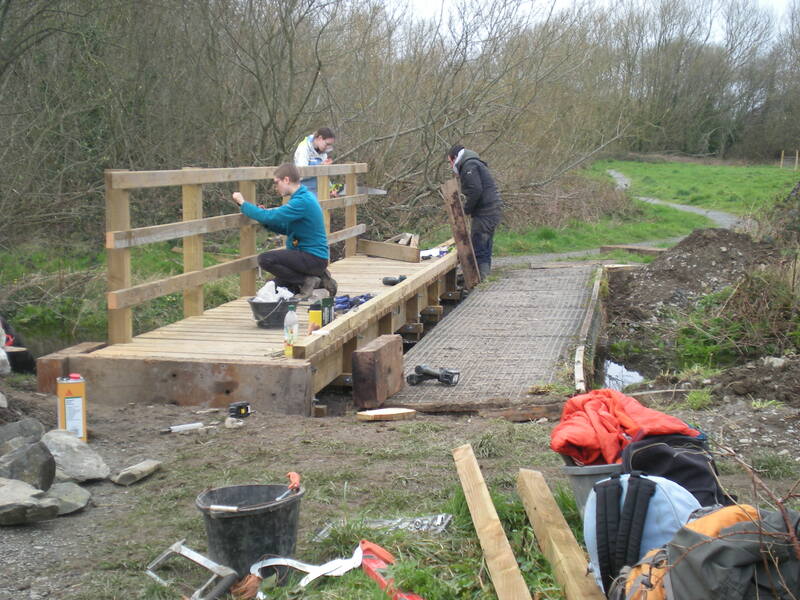 STUDENTS of the Countryside Management Course at Aberystwyth University have been constructing two new bridges to replace the old structures at a popular riverside walk in Aberystwyth, near Morrisons. Timber for the bridges, some of which was grown and milled on the University Farm, was made into kit form at the college workshop before being assembled on site to span two culverts alongside the river Rheidol. Students gained experience in the whole bridge building process, from site assessment to the finished project, through the Practical Estates Skills Project. 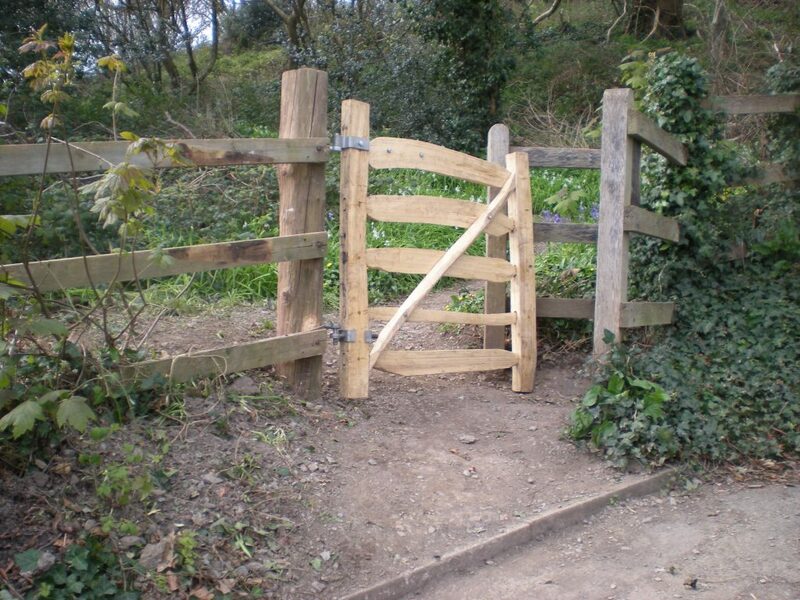 Also included in the project was, the construction of a kissing gate at Penglais woods using timber clefted from a chestnut tree at the Local Nature Reserve, and repair of some of the steps there. This is the last year in which the Practical Estate Skills Project will be undertaken. This brings to an end a 20-year long partnership between the University and the County Council’s Coast & Countryside Section. 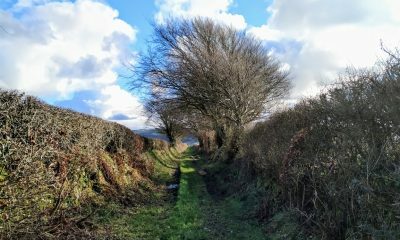 Over the years, students have been given the opportunity to contribute to improving the footpaths, bridleways and public access in the various communities over that time. 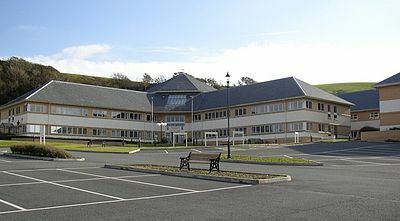 Funding for the materials were financed by the Coast & Countryside section via the Welsh Assembly Environment and Sustainable Development Grant (ESD) and by Aberystwyth University. All work regarding the gate was financed by Aberystwyth University, including the felling of a sweet chestnut tree by a Tree Surgeon. 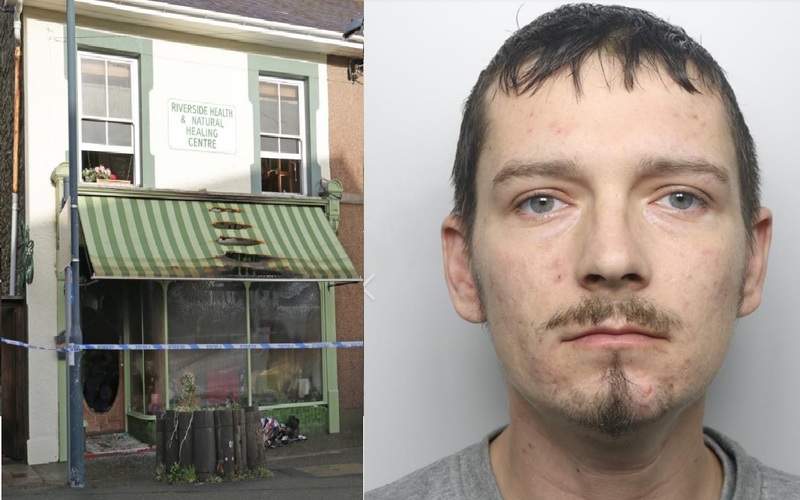 A CARMARTHEN man has been jailed for the burglary and arson of the Riverside Health Shop in Adpar, Ceredigion last year. 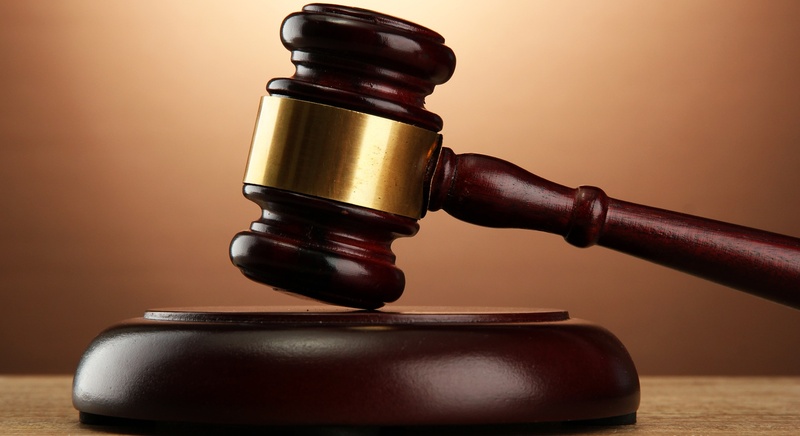 Luke Cuber-Hives now of of Ty Croeso, Adpar, Newcastle Emlyn has been handed 54 months in custody. 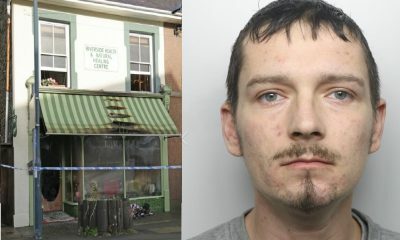 Detective Inspector Richard Yelland, senior investigating officer into the enquiry, told The Ceredigion Herald: “This sentence sends a strong message that arson is a serious and dangerous act. 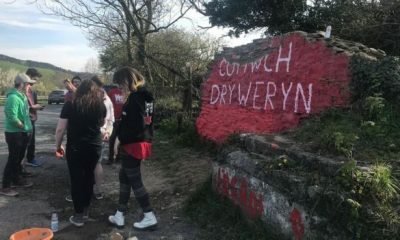 “Ceredigion has seen first-hand the devastating impact these mindless acts can have on victims, and the fear it spreads in the community. We saw in Aberystwyth that fire can quickly take hold and lives can be lost. “In this case it appears, the fact that nobody was hurt was due to luck, rather than the judgement of Mr Cuber-Hives.